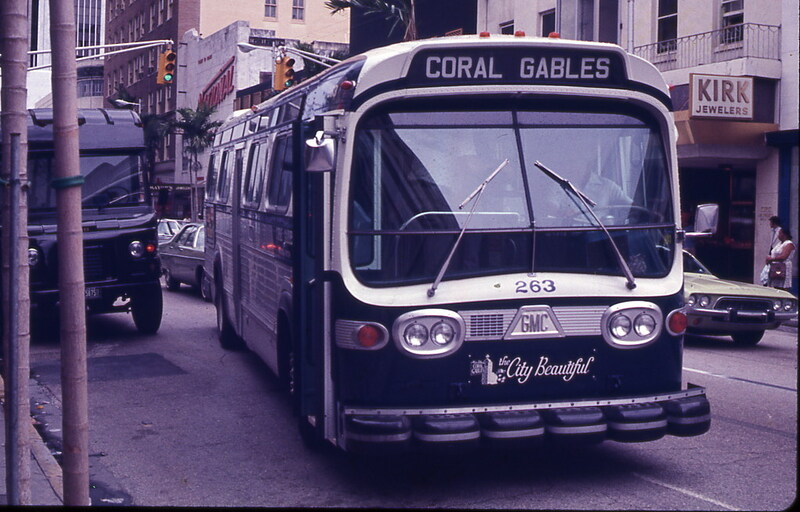 In April 31, 1975, the Coral Gables Municipal System merged into the MTA. 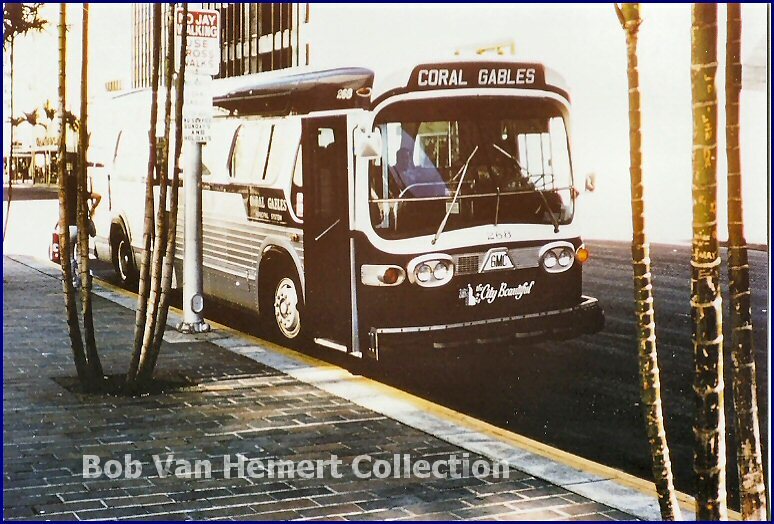 The Gables system had named routes that were based out of the Coral Gables bus terminal and covered most of Coral Gables and some surrounding cities and communities such as South Miami, West Miami,Olympia Heights and Westwood Lake. 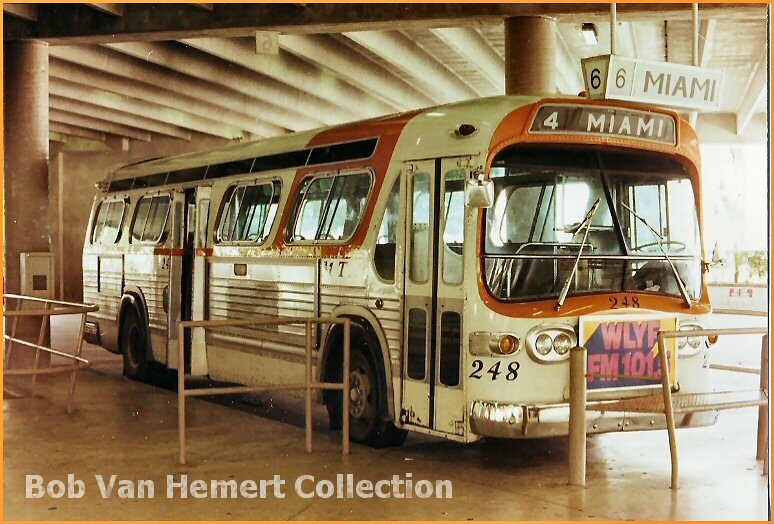 They also operated an express route to downtown Miami. 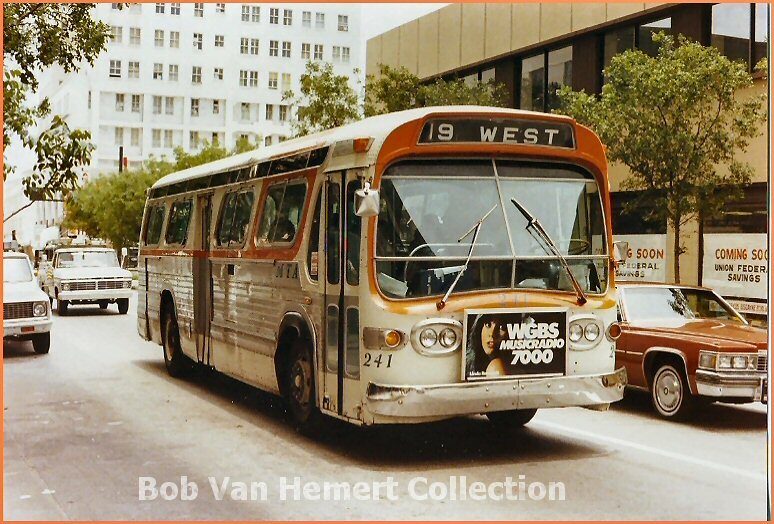 The named routes were changed to numbers by the MTA in 1981/82. They finally disappeared during the change to a total grid system in July 1986 (Network '86). 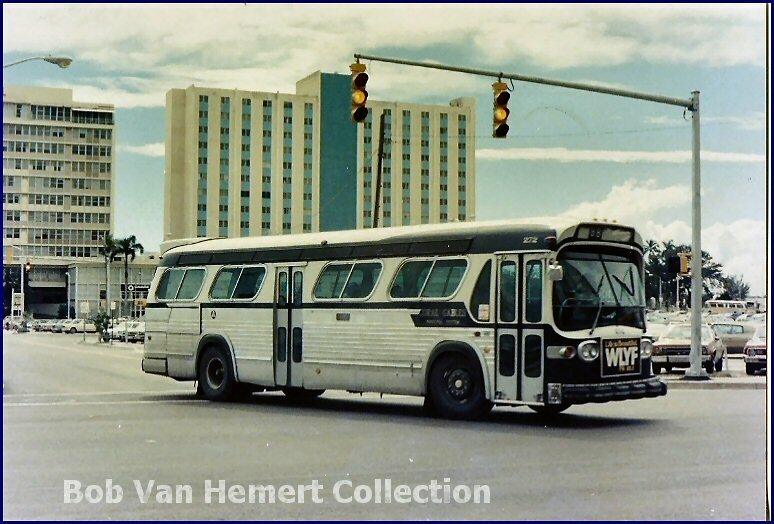 Coral Gables had an immaculate fleet of '35 GM New Look buses. They were powered by the Detroit Diesel 6V71 engine and a two speed automatic transmission. 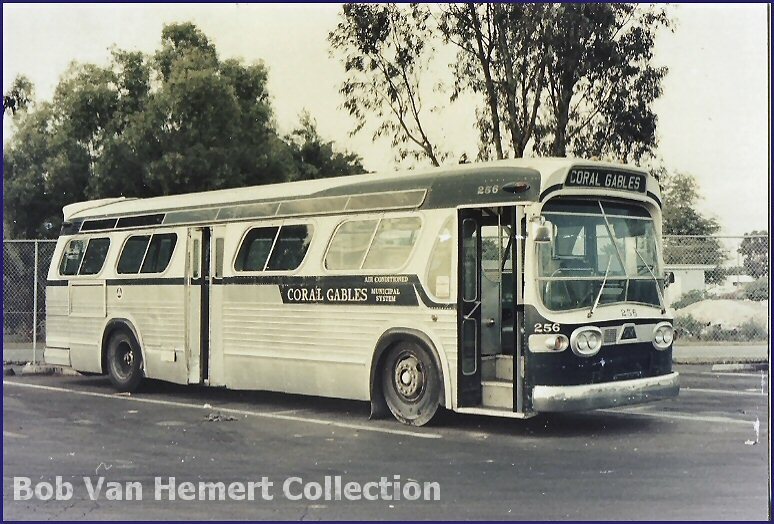 The last of the ex Gables buses were retired in 1985. 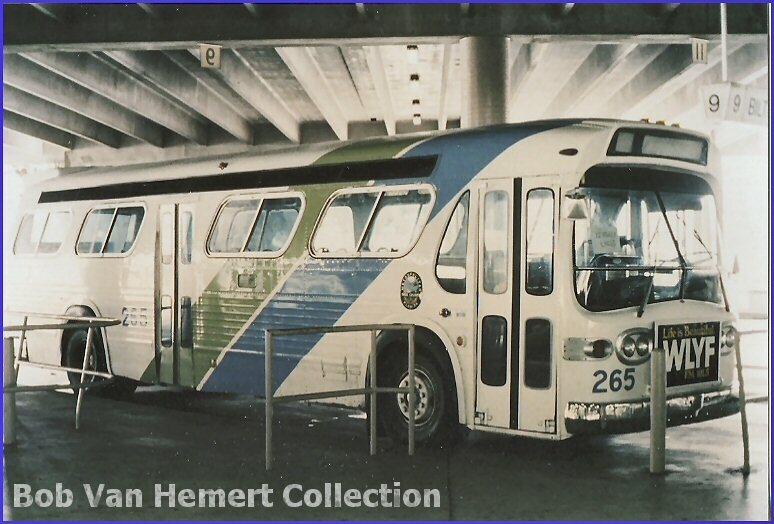 Thee 256 in service on the Industrial route (part of it still exists as the Route 65) and parked at the Central yard. 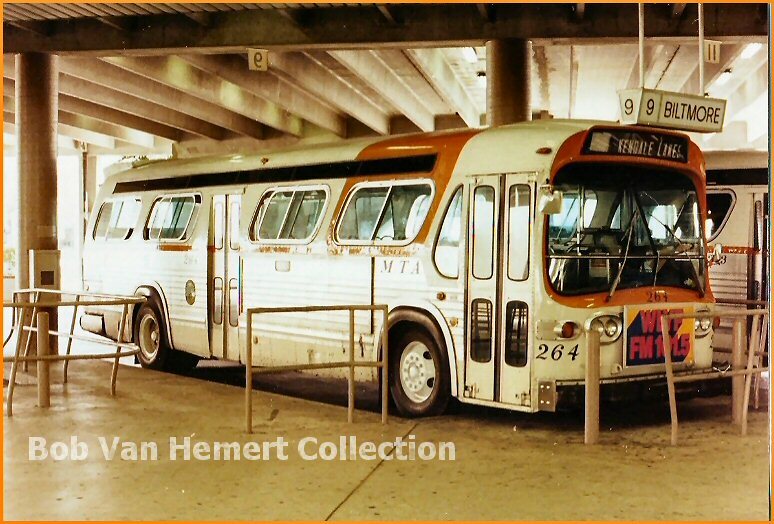 The 257 was one of the first 4519s retired (along with 244, 246, 253, and 261). It is sitting at the CETA yard. 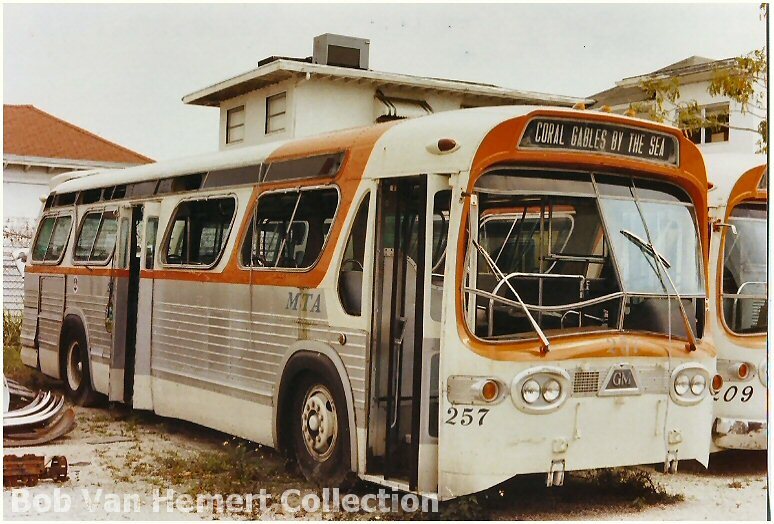 The 264 is a 4523 sitting at stall 9 of the Coral Gables terminal on the Biltmore/Kendale Lakes run. 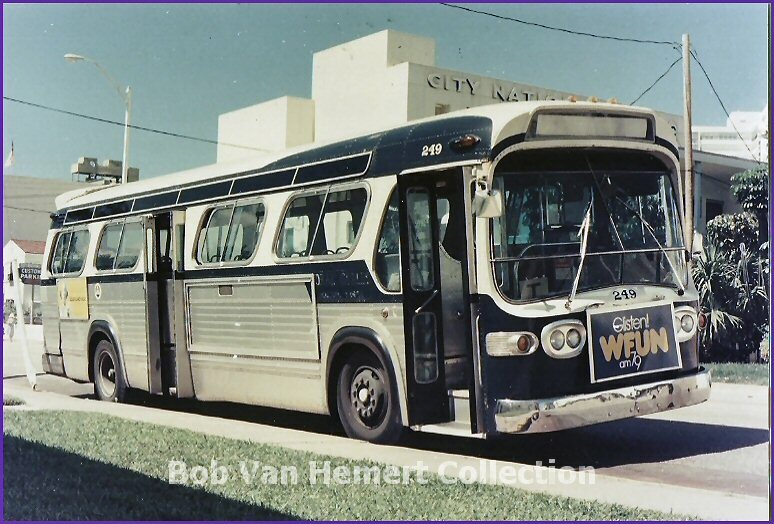 The 265 on the Kendale Lakes run and 268 in downtown Miami on the "Miami" route, set to run express back to Miracle Mile and Coral Gables. 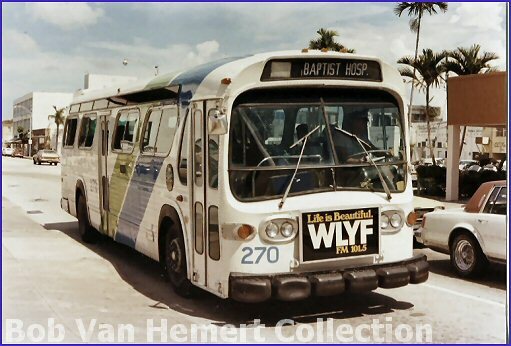 The 272 on the Miami route in downtown Miami. 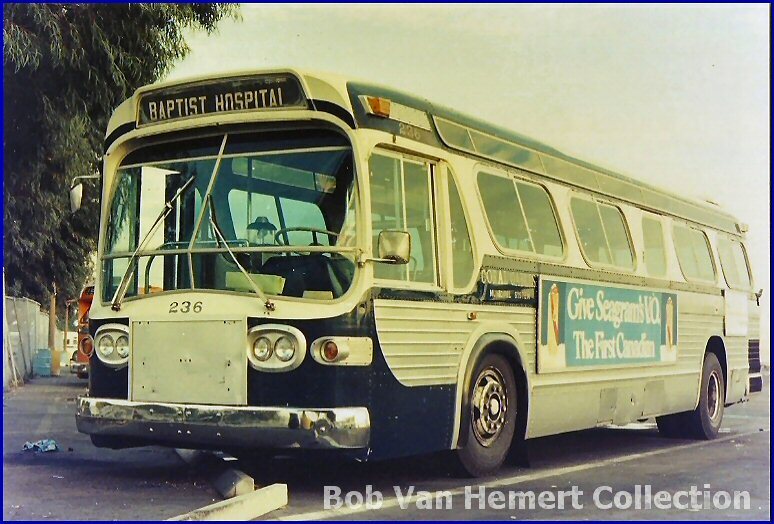 The 270 was a regular on the Baptist Hospital route, sporting the new blue/green "Metrobus" livery. 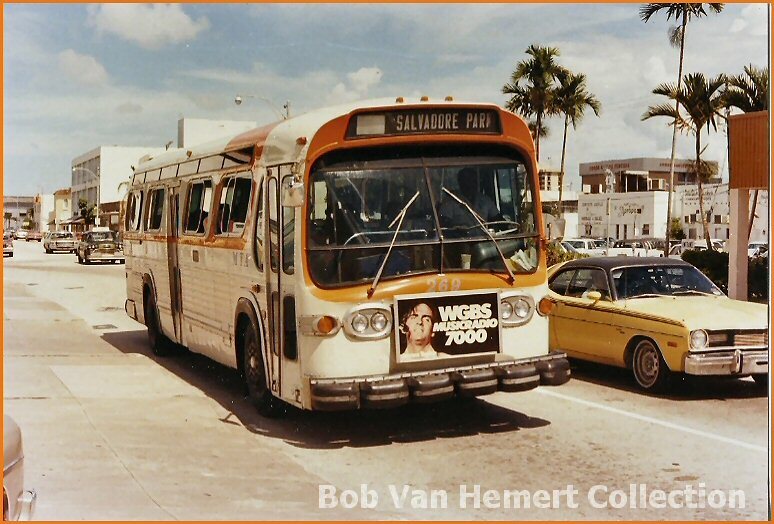 TDH 4523 bus 269 on the Salvadore Park route that serviced Venetian Pool, Salvadore Park, Variety Hospital and West Miami. Notice how MTA changed the single piece destination sign that were used on mamed routes to the more popular two piece to accomodate a route number. Buses 245 and 247 never got this modification, so they used paper signs instead. 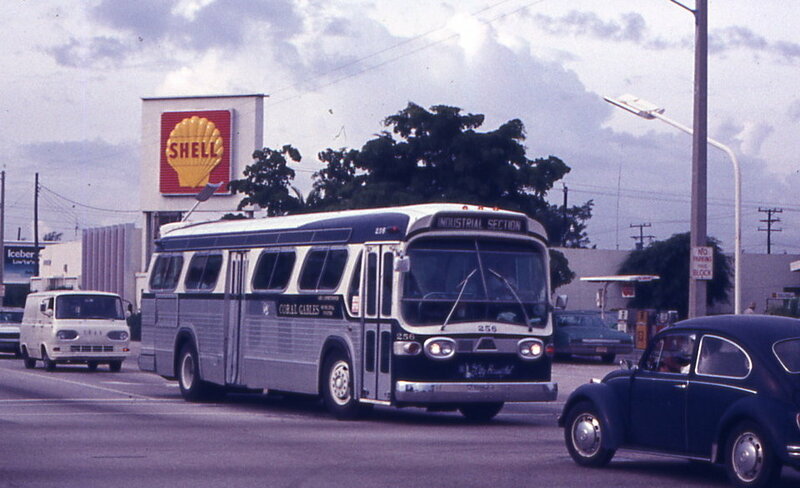 Bus 249 in full Gables colors running a Route T on June 17, 1976. Note the paper sign.